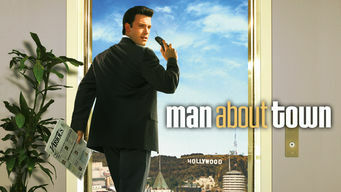 How to watch Man About Town (2006) on Netflix Switzerland! Yes, Man About Town is now available on Swiss Netflix. It arrived for online streaming on June 3, 2018. We'll keep checking Netflix Switzerland for Man About Town, and this page will be updated with any changes. The world of a top Hollywood agent begins to implode when he learns his wife is cheating and a reporter has swiped his private journal. A cheating wife, a stolen journal and some really bad dental work. The glamorous life of a hot Hollywood agent.